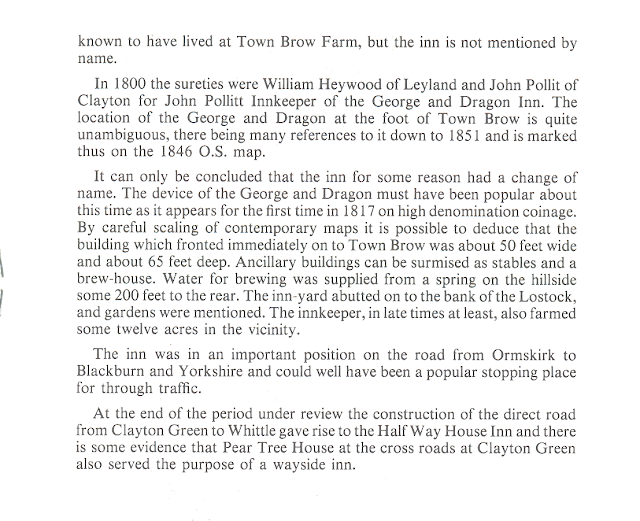 The George and Dragon Inn dates back to the 1760's and was originally known as the Parker's Arms (named after one of the first landlords) and alternatively the Wheatsheaf before settling on its final name. 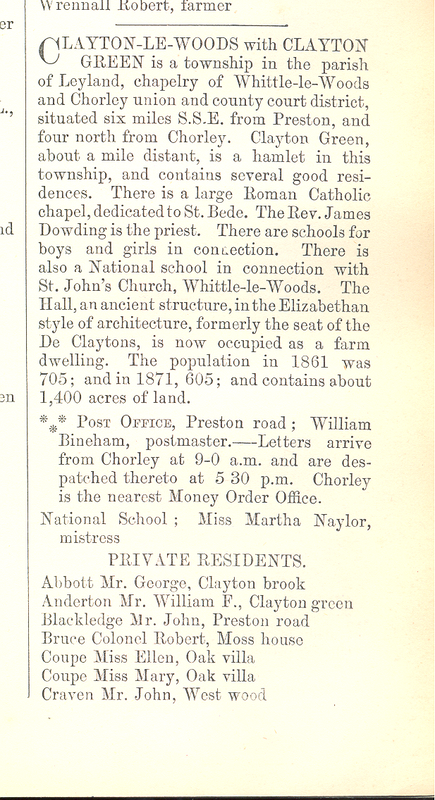 The following articles and images for which I can take no credit have been taken from works by local historians, "CLAYTON IN HISTORY. 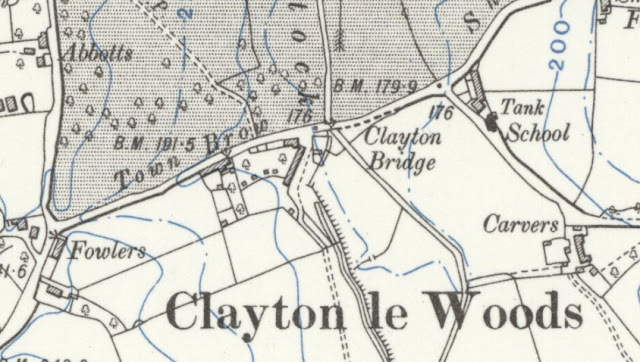 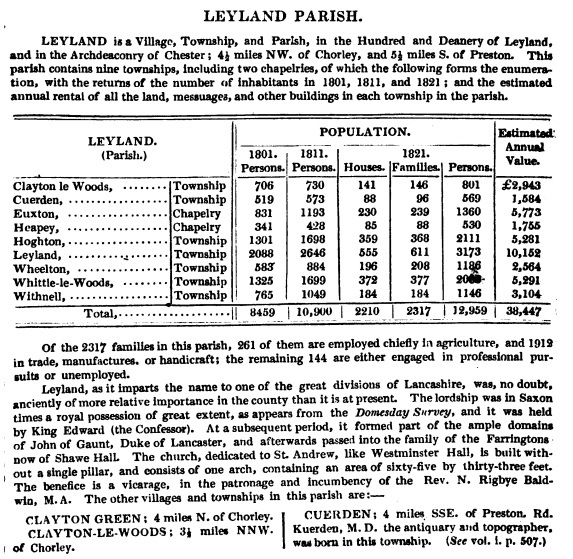 The story of Clayton-le-Woods to 1800" by George L Bolton (1985) and " Whittle and Clayton-le-Woods: A Pictorial Record of Bygone Days Paperback" by Kenneth Hodkinson (1991). 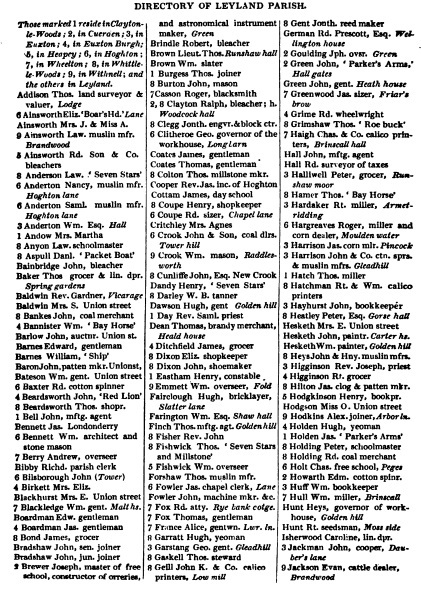 Reference is made to the pub (as the Parker's Arms) on the Baines 1825 Directory below where a Jas Holden was the landlord. 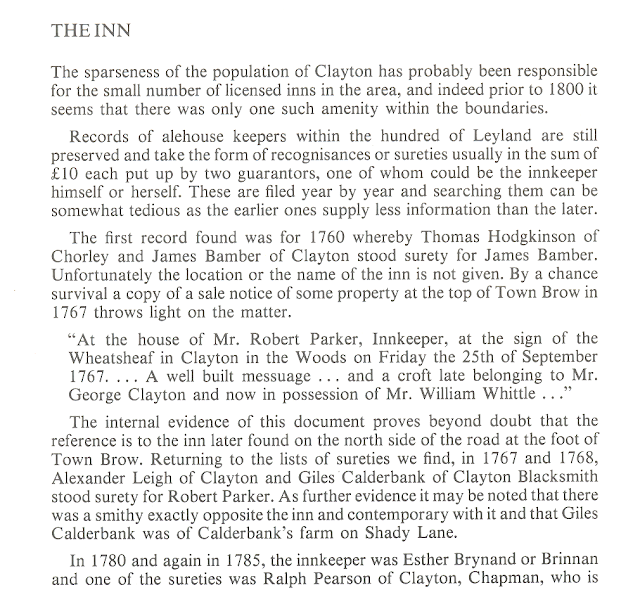 Listed landlord were James Bamber (1760), Robert Parker (1767), Esther Brynand (1780-), John Pollitt (1800), Jas Holden (1825), Thomas Gornall (1841-51), Moses Walmsley (1858-70), William Cliffe (1871-81) and William Higham (1891). 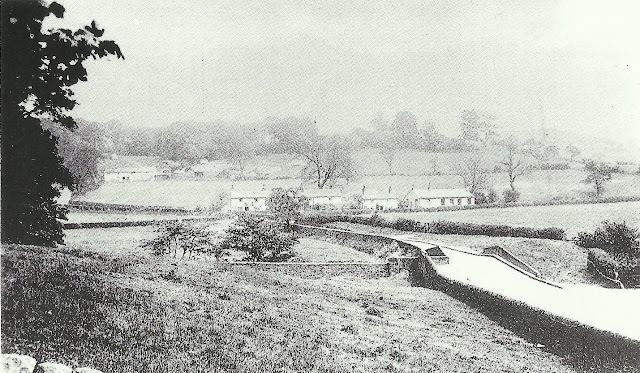 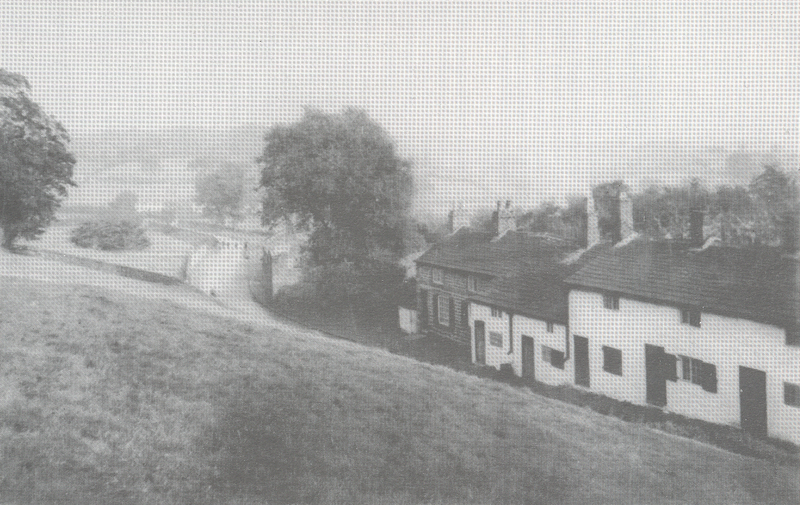 It was the home of Thomas Gornall and his family and was located at the bottom of Town Brow and Sheep Hill Brow, referred to on the 1851 census as "Clayton Town". 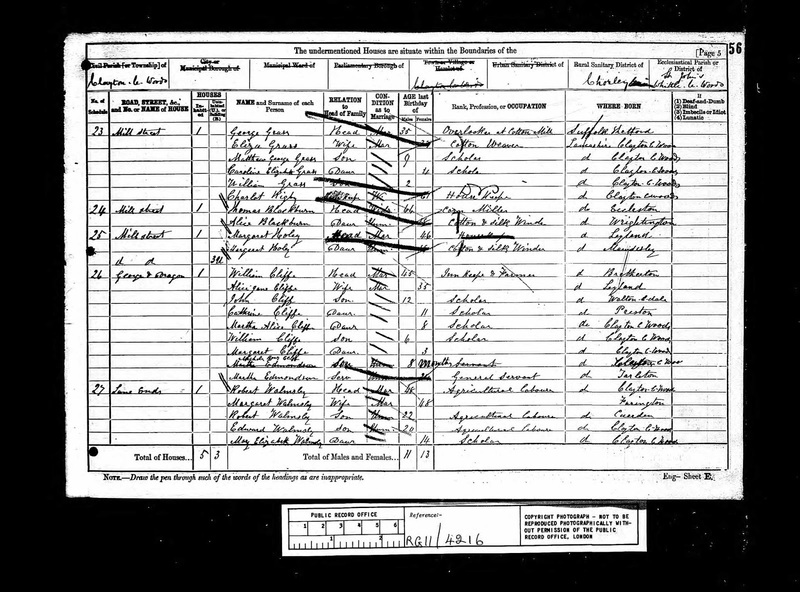 Thomas Gornall was a corn miller and was living there in 1841 but there is no reference to the pub in that year although I suspect it was still a going concern. 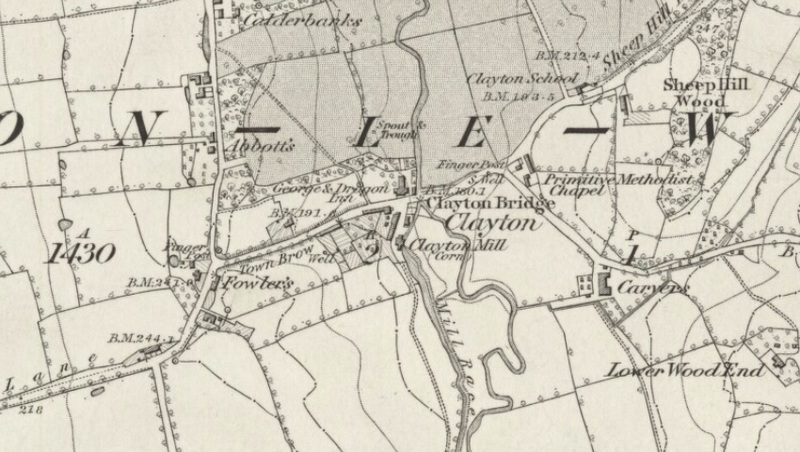 The map at the top dates back to 1844 and the building is clearly seen on the west side of the River Lostock north of the Clayton Corn Mill which utilised power of the river through the Mill Race. 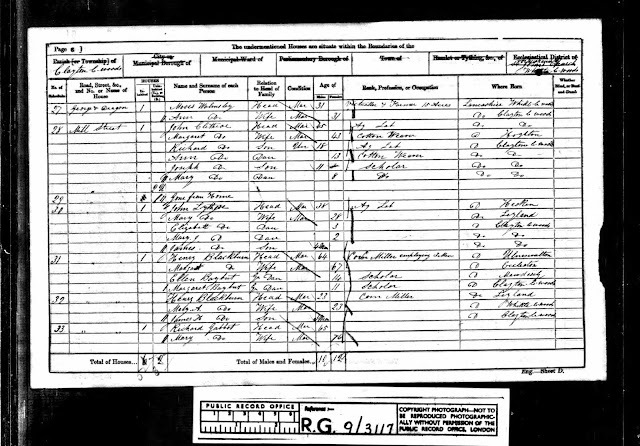 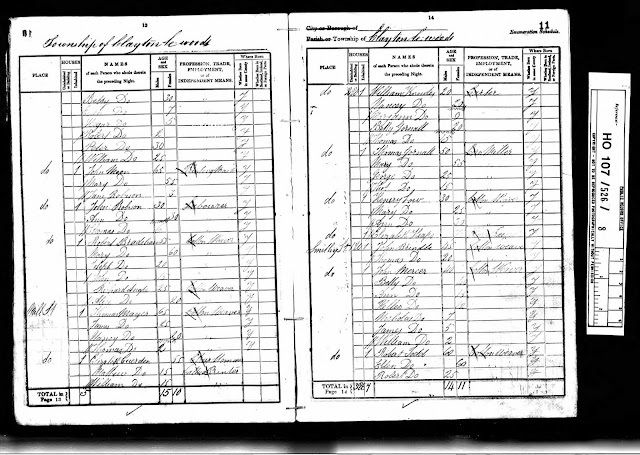 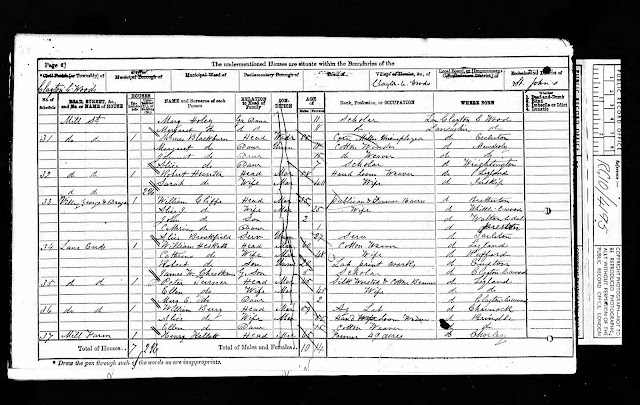 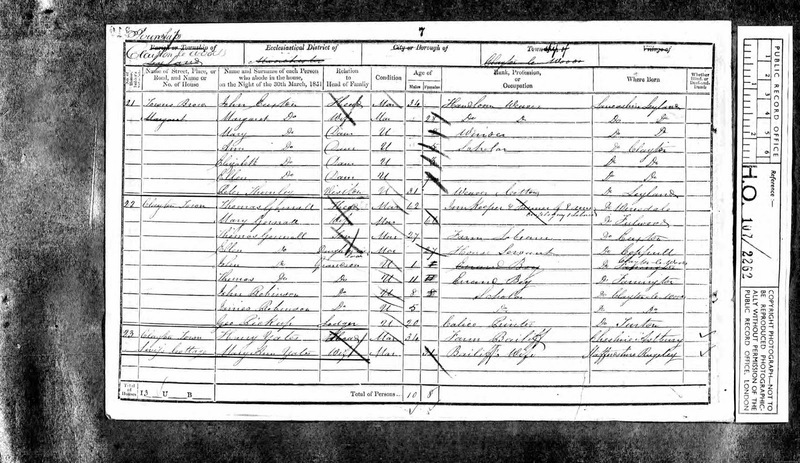 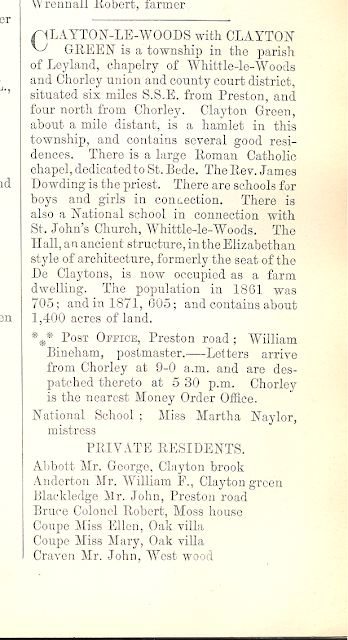 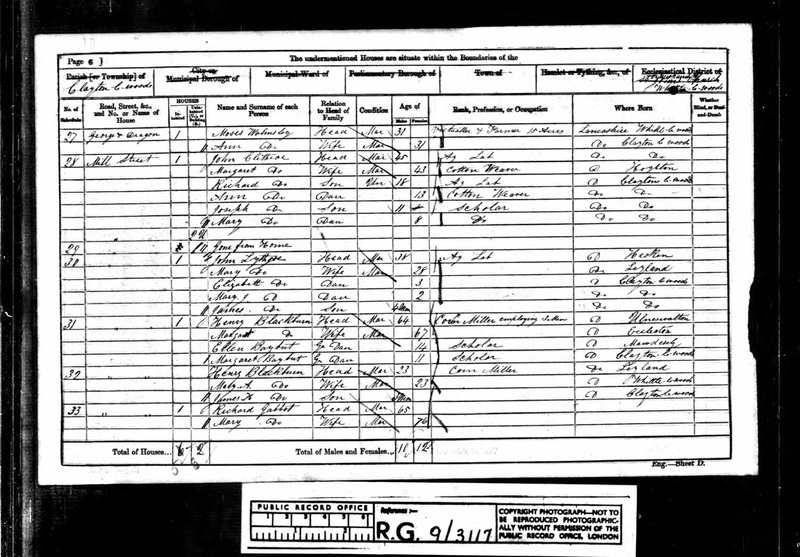 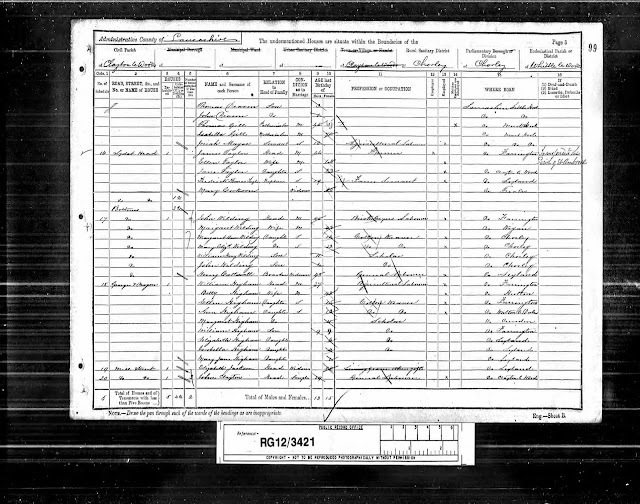 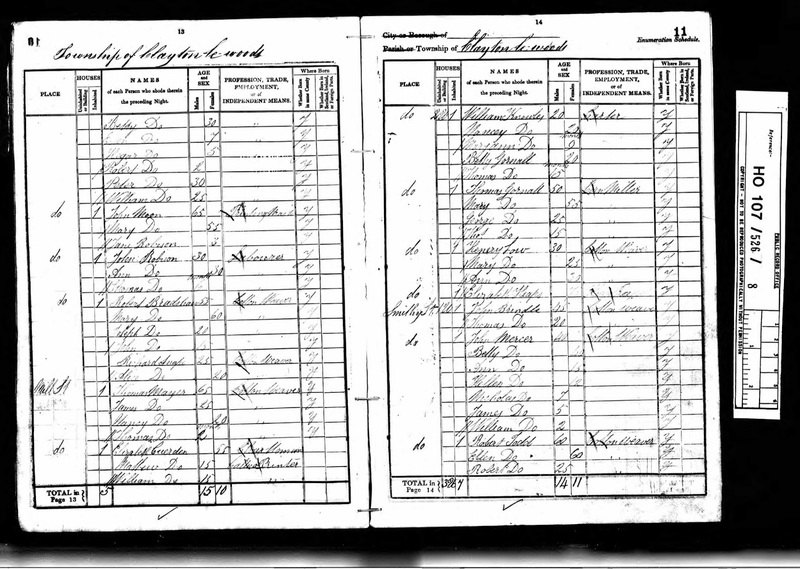 Worrall's 1872 Directory below confirms that William Cliffe was still behind the bar and remained so until after the 1881 census was taken. 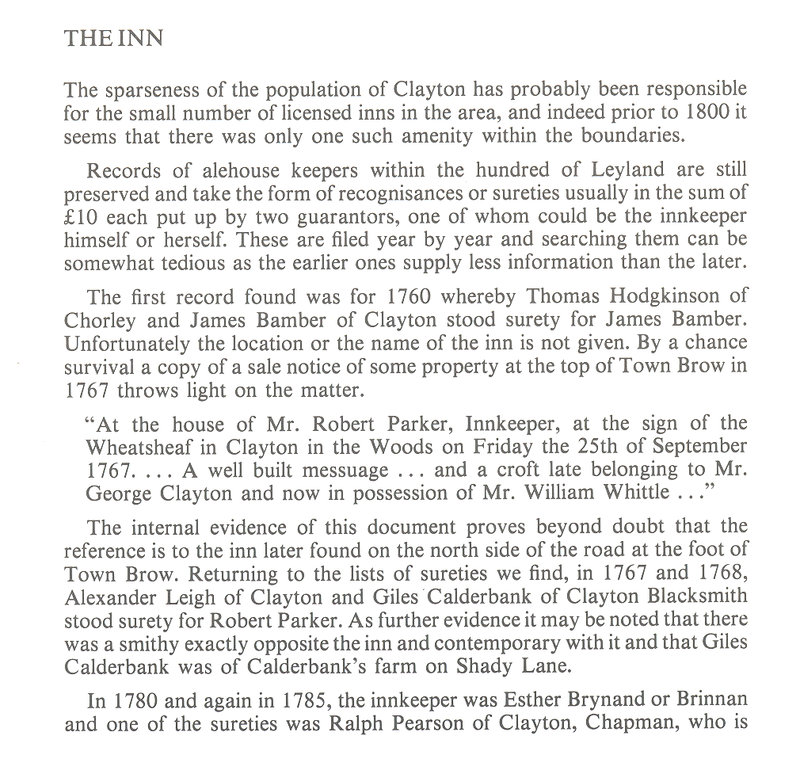 The landlords listed from 1851 onwards are referred to by occupation as both Innkeeper (or Victualler) and Farmer until 1891 when William Higham is recorded as an Agricultural Labourer and for this reason, whilst the property is still named as the George and Dragon that I suspect it was no longer trading as an Inn. 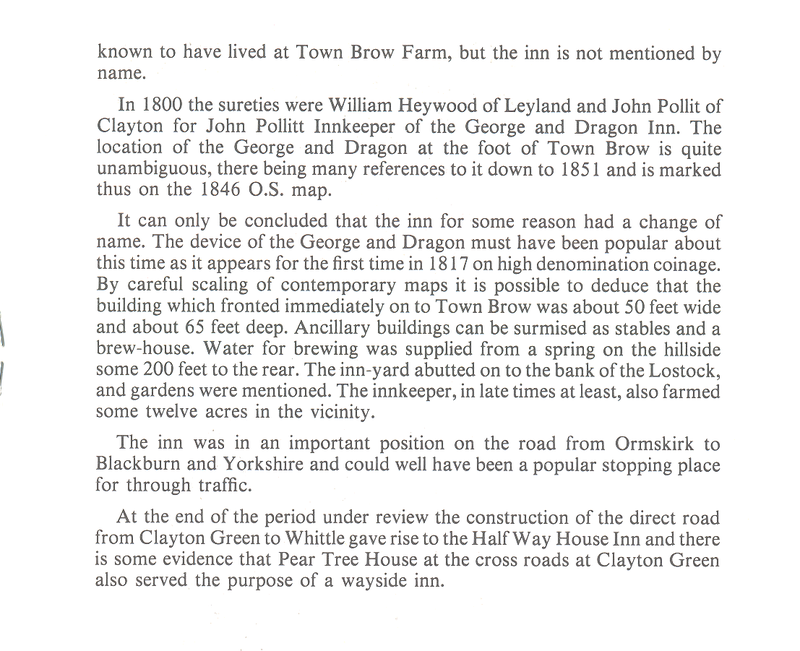 The disappearance of the Corn Mill would also tend to suggest a downturn in trade for the Inn that made it difficult to make ends meet. 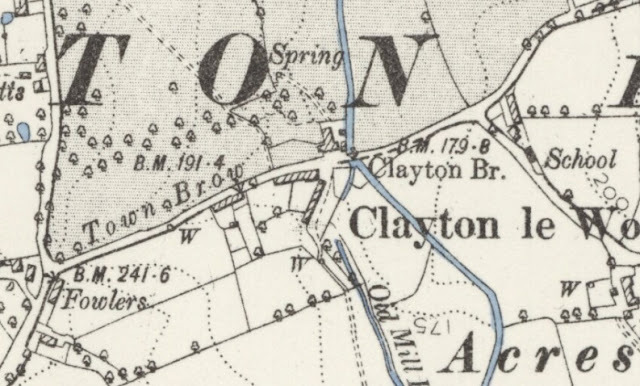 The 1893 map excerpt below clearly shows the building was still standing but there is no longer any reference to it being an Inn. 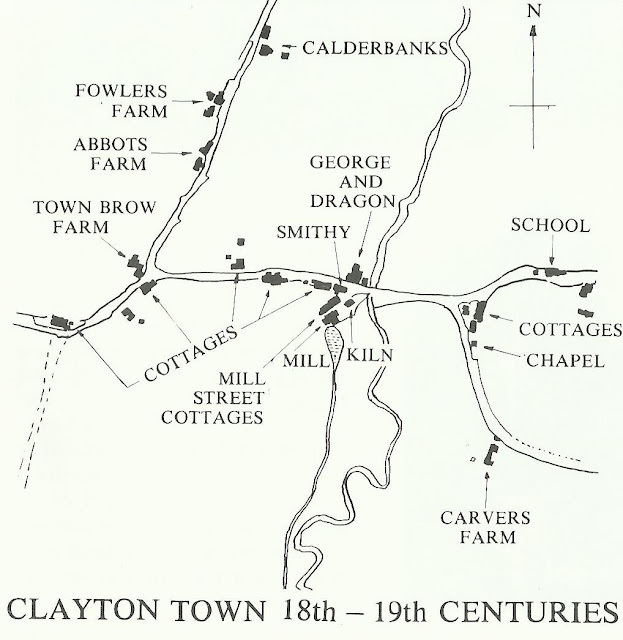 The final map of the area below from 1909 is clear, the buildings had been cleared by this time and the existence of the George and Dragon has been almost forgotten in the 100 years or so that have passed since then. 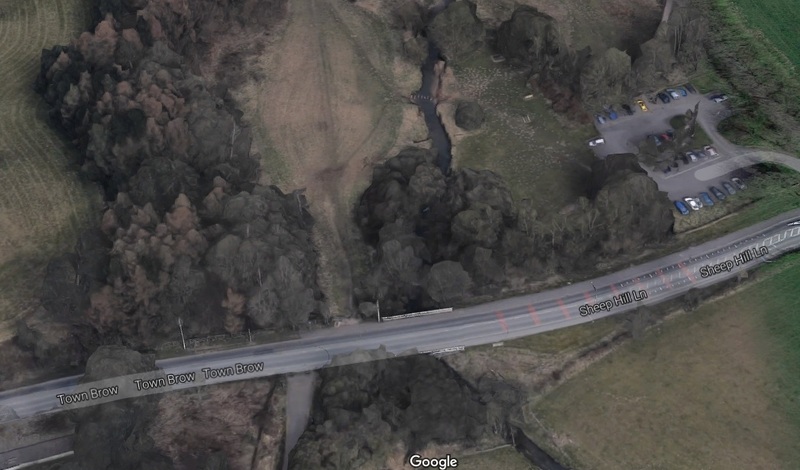 Google Earth confirms that the site is now a public thoroughfare/footpath leading from Town Brow to the Cuerden Hall.